One of the 5 systems we look to train when designing a program is called neuromuscular, this term simply means the link between brain and muscle. When we see a regular program we might expect to see sessions set to heart rate or effort levels and even power but the specifics of neuromuscular development are often left out, and with major consequence come race day. So many athletes complain of cramping on race day that they never experience in training and first their response is always bad nutrition and lack of salt but I think more often than not its poor neuromuscular development to the demands of racing. To look at this, say the majority of your riding is done on flat terrain and you typically ride at 80-90 cadence when riding, let’s say your training for a hilly Ironman race such as Nice, this event has a long section of hills over the first 100km of the race and those hills, while not overly steep will require power riding and will have you riding more in the 60-70 cadence range. If you have done the vast majority of your riding in the 80-90 range, then on race day you’re riding at 60-70, you simply do not have the neuromuscular conditioning to cope with this demand. As a result after 90min or so your muscles will experience overload to this stimulus and start spasming, cramping. So when designing a training program we need to look not just at the physiological fitness but also the neuromuscular demands we will face on race day. Let’s look at the 3 sports and how we can set sessions to work on neuromuscular development and told we need to do this. With the swim stroke, rate is the key to performance and an area often ignored. From the beginner all the way to elite swimmer, we all can improve with some specific stroke rate work. With the beginner swimmer, one of the biggest obstacles to good swimming is thinking. If we think too much when we swim, we tend to develop a very robotic stroke with lots of errors and dead patches where we have no forward momentum. The brain can’t cope with too many instructions so thinking about the front of one stroke while trying to kick and perfect the end of stroke with other arm – all just goes bad. The main problem is the stroke rate is just so slow and too much time for things to go wrong. With the tempo trainer in play we can set a stroke rate and the focus goes from thinking about stroke to just keeping up stroke rate to the beeps of the tempo trainer. As a start I would look to achieve a stroke rate around 34-36 strokes per minute and then build up towards 36-38 strokes per minute. When we swim with this tempo we remove the dead points of the stroke and have a more continuous forward momentum which leads to after swimming. For the more experienced swimmer it may not be a case of dead points to the stroke, but more a case of the swim stroke is long and slow which, while fast in a pool does not translate well to open water and too many factors can put off the stroke. Speeding up your stroke rate will ensure you swim faster in open water – for the more experienced swimmer a stroke rate in the 38-42 strokes per minute range would be my target. Also, we need to factor in what the race environment will be like – if it’s in the ocean or a river we have tides and current to contend with and we need to think a faster cadence into the current and slower rate when with the current in order for latest swim. 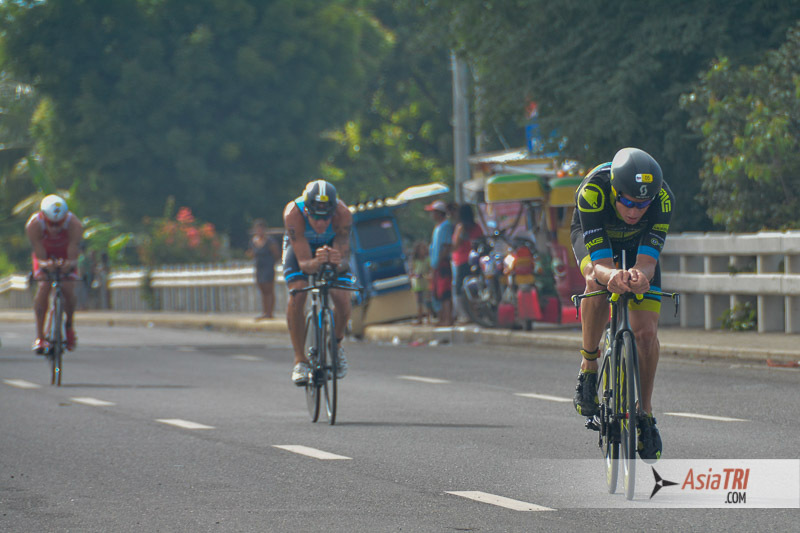 The bike section of any triathlon is the longest in terms of distance and duration so neuromuscular fatigue is one of the biggest factors at play in performance. We tend to see that the best running off the bike in races happens on hilly or undulating courses rather than flat courses which would seem counter intuitive at first glance, but when we look closer makes a lot of sense. In a flat race we tend to stay in the same position and ride at the same cadence for the whole duration – this is stressing the exact same muscle fibres for the duration of the bike and leads to more fatigue off the bike, whereas on a hilly undulating ride we change position many times and ride with a variety of cadences so spreading the workload over more fibres and leaving the legs fresher and more prepared for the run off the bike. All bike programs should have specific instructions on cadence built in to make sure the rider is well trained and conditioned to riding at a variety of cadences come race day. With running we want to train for the specifics of running off the bike not running fresh. There are many technique implications here and we want to run with a technique that utilises the body’s natural running reflex action rather than running muscularly – i.e with long loping strides. When we get off the bike in Ironman we have little strength remaining and can’t run with muscular strength rather we need to run with a fast stride rate that stresses the cardio system more than the muscular system. While we can go and look for a technique guru to change running to be optimal for Ironman, working on stride rate alone will fix almost all running technique issues. As a simple instruction set stride rate to 180 steps per minute and your technique will be significantly changed for the better. The harder you find this initially, the more of a difference it will make on your running off the bike once you have the neuromuscular pattern set. When we run at this stride rate we do not have time to over-stride in front of the body and also no time to push hard off the foot – this reduces impact at the front of the stride so reducing injury risk from impact and reduces push off which reduces the likelihood of calf strains and achilles injuries. So have a look at your training plan again with new eyes and make sure you add in the neuromuscular element to your plan for a more rounded program and improved performance come race day.